Today we celebrate the centenary of the passing of the Parliament Qualification Act, which laid the foundation for the first women being able to stand for parliament. It was a suffrage landmark. A hundred years on, we have to keep striving for progress. But what’s next? Labour has a proud record when it comes to women’s representation and diversity in parliament, though we can always do more. We have more female MPs than all the other parties put together. The 67 Conservative women in the Commons today constitute just 21% of the party’s MPs, whereas women make up 45% of Labour’s parliamentary party and at the last general election we had 50:50 candidates. We have seen steps across all parties though for greater diversity, but to make further progress, we need to know where we stand. One of the simplest steps that could improve diversity in our politics is to enact Section 106 of the Equality Act 2010, which includes a requirement for parties to publish the demographic makeup of their election candidates, including how well they reflect BAME and disabled people. The government has failed to come up with a valid explanation as to why this has not been done already. We often don’t have a clue as to the diversity of parties’ candidates – who makes the final shortlist or who they are putting forward – from one election to the next. If we want to improve diversity, we need to monitor diversity. The extent of the impact this could have is hard to predict, but it could be huge. This year, large companies were required to reveal their gender pay gap for the first time, which rightly saw several of the worst offenders being called out in the media. It led to resignations, promotions, pay rises and pay reductions. Transparency can be a driving force for change. Exposing parties that aren’t doing enough to promote women candidates could force their hand. Labour can be proud in leading on this – which is why we are calling on equalities minister Penny Mordaunt to immediately enact Section 106. Last week, women’s minister Victoria Atkins said, “I hope that every party is looking at this legislation”. This is somewhat disingenuous as it’s her responsibility to implement Section 106. Previously the government has said reporting diversity data could place an undue ‘burden’ on political parties. But if gender pay gap reporting was not an excessive burden for businesses, our parties should be able to carry it out too. In fact, most political parties collect this data in some form. The government might argue that it is too busy with Brexit and that the timing isn’t right. In fact, the timing could not be better. Since 1918, just 491 women have served in parliament. Some local authorities remain diversity deserts. Representation matters for politics – not just for its own sake, but because it shifts the balance of power, brings politics closer to people, affects which issues are heard or ignored. Labour is ready to work on a cross-party basis to ensure the implementation of Section 106. The time is now for the Conservatives to work with us to finally implement it. The power to open up parliament is in their hands. Let this be a small but important landmark in the path to real equality. 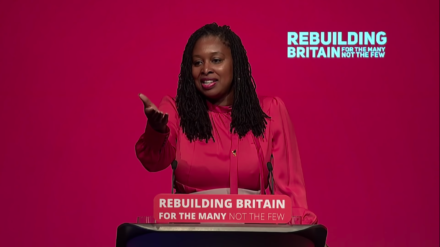 Dawn Butler is shadow women and equalities minister and MP for Brent Central. Dawn Butler is MP for Brent Central and Shadow Women and Equalities Secretary.